In an unusual admission to problems it faces, in yesterday’s edition of Haddas Eritrea, a Tigrinya newspaper it owns, the Eritrean government issued an editorial entitled “Appropriate Correction.” The editorial raises more questions than it answers as it fails to restore the exceeding loss of confidence in the government-owned financial institutions that allows depositors only limited and periodic withdrawal of their own funds. On December 11, 2017, Awate.com’s Gedab News broke the news about Eritrean depositors losing total control of their funds deposited in the government-owned banks. Subsequently, on December 25, 2017, Gedab News published a news item entitled, Eritrean Economy in Limbo. Against its nature, the government has now responded to the news. The confusion created by the arrest of hundreds of businesspeople and the closure of their establishments has resulted in a total collapse of many businesses many of whose owners have lost control of their deposits. People from the business community feel there were duped into believing that surrendering their Nakfa currency in 2015 entailed that the government would honor its promise to exchange it for equal value and later discovered they do not have free access to their deposits. Since the government began arresting people and closing their businesses, remittance to Eritrea has literally dropped by almost half its 2015 size, to a sixth of the GDP. The Eritrean economy is heavily dependent on remittances as many migrant workers and the general diaspora, send money to support families and relatives, and to meet certain financial obligations. But since people have lost confidence in the ruling party owned and run financial system of the country, and having lost access to their own bank deposit, not many are willing to deal with the banks. Instead, they are forced to deal in a parallel economy where the cash only and bartered transactions deny the state any tax revenues. Due to the shortage of local currency in circulation in the market, in some parts of Eritrea people have started using the Sudanese pound and the Saudi Riyal which have become alternative currencies in transactions conducted behind the back of the government. In the efforts that were exerted so far to establish and strengthen legal transaction as a culture, it is evident that such kind of illegal transactions has become habitual, and a hindrance. Even now, those who withdraw money from their accounts, but never deposit money in return, and who do not want to neither operate legally, or declare the source and amount of their revenues, and refuse to accept checks, and those who do not pay taxes, and who engage in illegal acts like trading in foreign exchange and hard currencies, are not lacking. The government claims it has issued 58,000 business licenses nationally, but according to knowledgeable people, the number includes the thousands of roadside stall vendors, bus-stop tea sellers, and one-person shops in the cities and remote villages. Also, many individuals, particularly Diaspora Eritreans own non-active licenses that they either keep expecting good times or could not pursue their business plans due to red tape and are stuck with the license. So, in conclusion, you agree with me that what Kbrom wrote is credible. Can we then safely conclude that this case closed? The GOE has armed the Police forces with brand new Toyota Hilux starting from new year eve. The people has already nicknamed the Toyota’s Akriya. You asked why? This is the story. So today you have new Toyota land cruisers for each Medeberat and AGIP HQ. Alex, Hope and Blink, Nitricc I hear you clear and loud saying where is the evidence. Actually you sound better than PIA when you ask for evidence, because PIA loves to say where are the evidenceS with S , can one of you do us a favor by telling PIA he does not need to pluralise it as it is plural by itself. ሄህ! መን እሞ እታ ደወል ኣብ ክሳድ እቲ ድሙ ይስቀላ? Thanks Kibrom for answering your own question. What I hear is a well documented fact and what u hear and saying is a hearsay or exaggerated news/” facts”–bela -below or hoax news or fake New as Trump would say it. As long as u deny those well documented evil agenda and dangerous tactics on Eritrea,I care less about your exaggerated facts and hoax news about the PFDJ,which,one way or another , and irrespective of its crimes and chaotic policies,has kept Eritrea this far as a Nation by saving it from the N African and Middle East style Tsunami and from the TPLF style ruled Ethiopia. Go and figure it out. We are not talking about imaginary Truth and Good stuff and nice wishes and dreams but about ” Between Life and Death” case scenario ! Either you are not reading my post, or I am not making myself clear. I have never doubted the evil agendas and tactics of external powers against Eritrea. Every country has it. Pakistan and India, USA and North Korea, China and Philippines, etc. GOE lost most of the diplomatic and economic wars because of its incapability and arrogance. Imagine if it was the GOE who refused to abide by the EEBC decision, the AU, EU, and UN would have turned all the tables upside down to coerce the GOE. PIA was left friendless because he was biting every passerby like a mad dog. He belittles UN General Secretary, he was disdainful against Obama, he belittled Kenya, he abused AU”s General Secretary, he abused Italy’s prime Minister, he insulted Canada’s Governor General, etc etc. Look at the security council draft resolutions which was tabled by USA against Syria, Russia vetoed the resolution against Syria because Bashar has invested a lot in its diplomacy. Why did not China and Russia veto against the 3, 4 sanctions which I strongly believe is unjust sanctions.It is because the man destroyed all diplomatic channels. The difference between you and me is not whether there is an external acts against Eritrea, the difference is that you are supporting those who use that evil external acts as an excuse to perpetuate more evil acts against our own people whilst what I say is there are certain acts that are being lashed out against our own people (that has nothing to do with the external factors) by the PFDJ group not to protect the people from the external threats but to stay in power at any price including by imprisoning, killing and abusing people. I can give you 1001 examples. Even sanctions are sometimes blessing in disguise, Germany and Japan are what they are today as a result of the sanction imposed on them after WWII. Your PFDJ is creating a curse from the blessing instead of creating blessing from the curse. P.S What and where is your well documented fact? My facts are in videos and audios. So, the questions are directed to you. Thanks for engaging and your feedback. My comment was based on what he said that he can bring in ” Reliable Sources” including the names of the culprits and that he is well informed as to why the Capo of the Smuggling is not arrested yet”! If my comment sounds as u understood it,may be U should blame on my English”! More so,I was trying to challenge him about his deliberate ” shyness” about the well documented facts of evil minded campaign against Eritreas that do not need mentioning “Reliable Sources”–the nonstop campaign like no tomorrow -of defamation,sabotage,threats,isolation,containment ,sanctions ,etc on and against Eritrea so as to wipe out Eritrea from the world map, and for NOT taking into consideration the dangerous impact of such a campaign on Eritrea as a Nation and on Eritreans as a People and on their socio-economic,military,on over all infrastructure and well being of the Nation and its citizens….the Human Rights Abuse and the Scary Exodus,which have been welll designed evil tactics by the same enemies of Eritrea to make Eritrea collapse overnight! As Col Goshu Weldie of the Derghi said it,I would fight those enemies with my two hands– like the Hero Martyr Said Salih of the ELF did to the Derghi Army in the plains of Seraye by firing two Machine Guns with two of his hands! -We do not need to exaggerate and make up stories like the Western Media Stream Style” about the events in Eritrea in a way that damages the image of Eritrea as a Nation so as to target the PFDJ ignoring the impact of such a Canpaign on the National Security Interest of Eritrea-the whole goal of our enemies,as we r first hand witnesses and Vic tims of the system and its chaotic policies. To me,the Kibrom et al style of Campaign sponsored by the same old new enemies of Eritrea is only adding fuel to the fire in/of crippling the Nation in the name fighting the PFDJ. You said the Kibrom et al style ‘Campaign sponsored by the same old new enemies of EritreaIt is this kind……’ this is why I do not need evidence that you name and shame people without bothering to proof it. Do you know the old ጽንጽዋይ በጊዕን ተኹላን if I hear you saying a lie about me clear and loud how do you expect me to believe you what ever you say. I am not sponsored by any one nor I allow any one to touch my dignity and the dignity of my country, so if I hear you lying about the person I know I would not believe you even when you tell me the truth about some one that I do not know and that is what CREDiBILTY means. You are claiming to be a patriot whilst discarding others as: what was what you said ‘against the national well being’. Most of the time those who does little about some thing put it in their names like the owners of it. Firstly,I never claimed to be a special Patriot as u claimed. Secondly,I never down played or denied the atrocities by the PFDJ,but rather,testified about them but no need to brag about it. U r exaggerating things out of context like the Western Media Stream and the TPLF MoI and MoFA style and the puppet Eritrean Opposition Groups have been doing about Eritrea when U don’t have to. As far as Sponsorship is concerned, well,that is the case we know about Most,if not,all the self-appointed Opposition Figures and Groups and if u r not in the club,good for U. -You are focusing on your one-sided “Facts” but am considering both facts from both ailes and suggesting solutions by fighting both enemies of Eritrea as they both have contributed to our misery. If that is not ” patriotism” to U,it is indeed to me. No need to go into personal religions…and beliefs. I agree with you that there are many activities that are directed against Eritrea by external forces such as the occupation of Eritrean land by Ethiopia [in defiance of the EEBC rulings], and economic sabotages with the aim of regime change. These are done with the connivance, nudge and wink of the UN and most of the world powers. However, we cannot deny that the government of Eritrea has been shooting its own feet for a long time and has been suffering from many self-inflicted wounds. On the balance of probabilities, on the main, I find what Kbrom wrote to be credible. It fits well if you call yourself “hopeless”. I am sure you like to talk with yourself a lot. I don’t agree with what you said, “Am not going to repeat over and over as am not “insane”!” You repeat yourself like a Parrot and surely, you are INSANE. The spokesperson of Eritrean government Mr Yemane Gebremeskel stated that the government led by the wisdom of president Isaias Afwerki is dedicated to diversity and inclusion. He went on to say that despite some noisy movements from some opposition group funded by the Weyane regime, and unlike the claims of small movement by teenagers from Adieya’E School, the government of Eritrea is making great progress in it inclusion policy’ adding that ‘the fact that the current Shingrwa program judges are using SENI and IFAL instead of the old TERIFKA or HALIFKA policy shows the long struggle the Eritrean government has come through to promote the diversity of the Eritrean nationalities’. As the Weyane regime is crumbling due to its luck of inclusion’ Mr Yemane went on to the contrary ኤርትራ ንኹሉ ብድሆታት ሰጊራ ኣብ ናይ ሓድነት ምሕንባብ መድረኽ በጺሓ ኣላ’ switched to Tigrigna for a short period. Minister Yemane went on to say that as the President of Eritrea is every happy with the current Shingrwa’s SENI and IFAL inclusive policy, the president called upon all expertise to continue with such a creative idea of social cohesion. Encouraged by such a rare praise from PIA , Mr Yemane stated ‘from the next round, the Judges of Shingrwa will use the Blen word YEWE and WEREN – BRO – CHUN to expand in its inclusive policy. Mr Yemane added that since the policy of inclusion is becoming the symbol of unity to the corrupted African governments, the Trump administration is making unwarranted intervention because Eritrea’s inclusive policy is becoming a ‘bad example of good example’ for Africa states which are marked by sectarian and religious conflicts. You are hilariously biting and knowledgeable person, a gift of the new year! You better it! you better it Haile my brother, it is the English version for ትሕሾ ትሕሾ ሃይለ ሓወይ! You are one of the few people in Awate forum who inspired me, Haile. Again! በይነይ ኣስሒቕካ ተጸሊሉ ከተብለኒ ኢኻ! You remind a long time no show up awatista, Haile The Great!! You are one of Greatest people here. I agree with the inclusiveness idea. Including Blina would be nice. However, I would be happy if they included “TaAambilu” alongside SENI and IFAL, when someone sings praising the pFDJ or the capo. And WEGAH, when in trying to sing, a boring contestant deafens the ears. What do you think? indeed, and may be Yebu Gare if someone tries to question Capos rein. Are U guying talking in my language? I thought I was arguing with a Certain well informed TPLF cadre?? TPLF cadre? no please, whatever you might think, remember one thing, when it comes to TPLF, even the worst anti PFDJ would stand by PFDJ. Make no mistake. If there is a sovereign issue I will create a pending files folder and put my difference with the government and you to defend my country. Re: I apologise? You do not need to apologise; this is the consequence of ጫውጫውታ ጸርፍታት Weyane CIA, instead of talking about ideas. In that area I really feel a twinge of envy for our Sudanese brothers who discuss politics in a very civilised way without naming names. Even a husband and wife and their two kids would support different parties and discuss over lunch their difference. I have been in forums since its inception, over twenty years. Sometimes you may be debating and badmouthing a debator who actually have coffee with you every weekend. It is better to assume to you know the people. Even better, if you pretend you know them because once you meet the people behind the names, you would not be able to repeat what you say to them in discussion forums. It’s just human decency that embarrasses you if you cross the line. Hope, QWALI, please be less stiff and develop some sense of humor. Also, if possible, stop the empty rhetoric–not everyone who disagrees with you is Weyane. That is just a boring, overused, and tired cliche. I totally agree, Ato Ghebretsadik is doing this as an exist strategy. History tells us that Ato Ghebretsadik is not an angel who has the characteristics of turning the prisons into a museums, what he is doing is an aerobics of public relations – no ambiguity in that part. The only difference is that Ato Ghebretsadik is brutally punishing the people (ethnic group) that he thinks are ‘them’ whilst what PFDJ is doing is on its own people. For me what counts is what is happening onto our people, I do care about what happens in the region because sooner or later it will affect our country, but as they tell you in the airplane pre departure safety instructions , I will help with the oxygen mask to a child near me only when I put properly my own oxygen mask. On different note, what I hope is, to see the government of Eritrea taking some good will gestures, even similar to what is done by what you called the ‘worst performers’. I remember watching a news last year when the brutal ISIS released old men and children from the Yezidis, a Kurdish and Arabic ethno-religious group, from the cities it captured. Mengistu’s regime was allowing the Tegadelti POW to have their day in court and get lawyers. Mengistu was also releasing prisoners on YE ABYOT QEN etc. Lat year, women from North Korea had a joint peace and reconciliation march with their counterpart in South Korea, it was even reported in the north Korean national TV compare this to the Eritrean elders who were thrown to jail because they simply called for reconciliation and mediation in 2001. 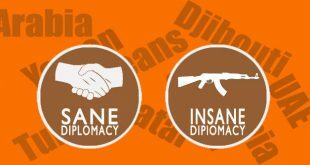 Dear Hope, my simple question to you is this: why can’t PFDJ show the gesture that is performed by the worst creatures in the world (ISIS, Mengstu and Kim Jong-un). 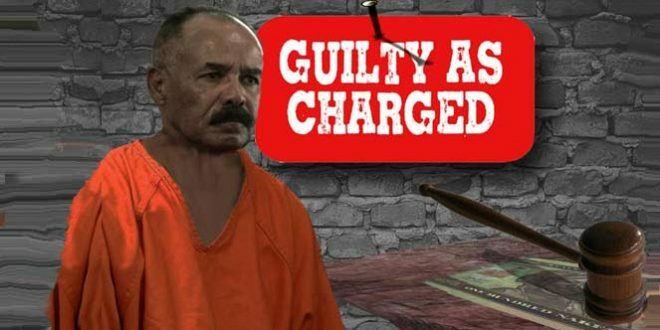 Why would the Government of Eritrea imprison people without due process in law, why is PFDJ not showing the compassion to its people that it showed to the Ethiopian prisoners during the EPLF era? What do YOU feel about these events. My email was change as it is stolen..My God!! Blaming CIA and Weyane for PFDJ crimes is utterly irresponsible. I don’t know if you hear people say–the only person who cannot be helped is that person who blames others. What’s really funny is that the Nikid T’ray PFDJ ship is sinking, and sadly, the captain and crews enjoying singing the blame them song till it hits the bottom rather than seeking help. If you shot yourself in the head, you are responsible regardless whether you feel it or not. I cannot stop wondering what is in Hope’s head that is affected to this extent. This guy never stops dancing even after the music has long stopped playing on:) The CIA, UN, COI, Weyane and good knows many others are stuck in his head and he will never stop the dancing and signing the blame all song. “Bhaki tsemam hede derfu” and the “Blink” and “Hope” are the best examples………. N Blink hade atheist Jini eu zexawetelue zelo….mebokoria etan teray aythmek negiziu ..Let’s not give up on him. Hahahaha “Let’s not give up on him.” I will try my best. ድሐን ልብኻ ዓቢ እታ ቀንዲ መልእኽተይ ንኸምኣ ኣይኮነትን እምበር ሓቅኻ ብዋዛ ዋዛ ዘረባ ሞሊቓ እያ–ንቕጻዕ ጎይታይ! You better it! You better it! I am using Kbrom’s expression. He is hilarious. You can’t imagine how much I laughed. U and ur politics are IRRELEVANT. But keep regurgitating us with your old new weyane propaganda. 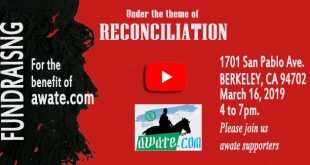 We are here—no matter what,it is the Awate’s Home…not that of the sell out Pseudo-Eritreans. Zip… if not I will call on U the 5*Gen,His Excellency Messrs.’ Nittric. Hahaha, all you have to call is Nitricc? Nitricc cannot even defend himself as he is very naïve about what is going in Eritrea. He has been reading stuff, but his head cannot process information. I have been there and seen all of it. I thought you could do much better than calling other low-lives like yourself. We know all these ..and Um might be one of them too. But how do u know that all the money went to the PFDJ Coffers? May be on of ur cousins is involved in putting that money to the PFDJ Coffers?? The max amount my family paid to smuggle out two three people was $6500 . FYI,I know people from Vietnam,an allegedly stable nation, paying up to $50K per person to smuggle out their loved ones to the USA…but no body is talking about it. This Quote from Kbrom post fits you well Hope, the hopeless. So you prefer to talk about Vietnamese issues rather than the Eritrean ones. You have a compulsive urge to answer anything without thinking. None of what you said makes sense. You are defending PFDJ, logically you have a vested interest in PFDJ. Otherwise why would a sane person blubbers all these garbage to defend the un-defendable. The National Association of Patriotic Eritrean Livestock Butchers (NAPELB) has announced that it has finalized preparations ahead of the holiday season and will start accepting bitcoin and as a form of payment in Asmara’s Kehawta and Adi Abeito Stockyards. I was puzzled given the news about small scale day-to-day traders having difficulties dealing with checks as it is. What Is that “ብር! እንተበልካስ ሕልሚ!” ? He had me going too, man! As I was reading it, my mind was racing, to think the criminal syndicate wing of the regime is good at smelling for some such online black market for bitcoins, such as “Silk Road” until the end: ብር! እንተበልካስ ሕልሚ! That’s when it dawned on me I was being humored and started to guffaw uncontrollably. Luckily, I was at home, unlike Haile S., who was at work. Lesson learned: So, Kbrom’s entries, until his readers figure him out, ought to start reading in a safe space. The ብር! እንተበልካስ ሕልሚ! really put the needed punctuation to awaken the reader from the nightmarish dream that he took his readers on this dreamlike journey with him. Like poor Haile S, I was at work too. It was the first thing I read before even a quarter down to my coffee, and then, BANG! We are blessed with so many greats like yourself among many on this forum; we should be grateful. Mr. Kim Hanna once stated that ‘those who should be here are there, and those who should be there are here,’ and it has stuck in my mind since. 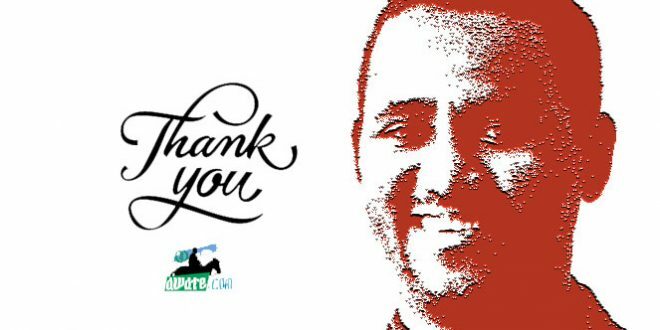 I have a great admiration for your tireless effort to bring the truth to the front regarding Abona Haji Mussa’s arrest and the aftermath, or should I say, the blessing that followed. I envy your determination and energy. Okay, that should make up for all the attempts I made to respond to your endless posts and articles in agreement but didn’t for one reason or another. Deal? The variations in thinking, be it on the humor side such as you; on the eternal optimism of the commentaries we read such that of yours; and many others who bring the sarcasm; the irony; the arrogance; and the humble ones; the hubris, you name it this august website has it all. The totality of which is a website that brings this phenomenally unique virtual gatherings of the mind, most of whom have good will for the region from which we hail – The Horn of Africa. Kbrom’s addition now seems to be another layer that will serve as an elixir, yet, for one unique voice, which will keep the conversation going. What a rubbish argument. An insane man who abuses and shows domestic violence every day would say እሞ ጎረቤተይ ኣቶ ገብረጻዲቕ እውን ንሰበይቱን ደቁን ኪቕጥቕጦም እንድዩ ዝውዕል if he is asked to stop what he is doing. Poor PFDJ ኣብ ከም በዓል ንስኹም ምውዳቑ: even PFDJ was better than this by the standards of PFDJ. By the way today ኣቶ ገብረጻዲቕ announced that he will release all political prisoners.Would you ever expect the same from your PFDJ? My best wishes to you too! Sorry for the late response, I saw your comment just a short while ago. massive migration with its consequences and economic hardship they are facing. The Eritrean leadership’s way of responding to these is always “my way or the highway or the prison”. We have seen no, nothing, zero attempts to heed to these demands. What the leadership is losing by refusing such attempts is a genuine support of its citizens. A false support by restricting ourselves saying “what will people say” is not going to help us solve our problems. BTW, if there are hostile western media there, just to be hostile to Eritrea, they bank on these refusals of the leadership. One of the reasons why the leadership feel reinforced and confident in its ‘my only way’ of doing things is that its citizens self censorship and restraints. Imagine a situation where a child is severely mistreated by his step mother or step father where the other parent says nothing to preserve family integrity, but the child is impeccably dressed and handled when relatives and guests come to the house to the level of admiring of the step-parent. We should not copy any of these parents when talking of the missteps and handling of our country by the leadership. Sometimes our argument sounds as if we are arguing whether the fire thai is burning brutally our house is ignited by match or lighter, whether the people who fled the burning house jumped or walked, if the fugitive who burnt the house used 1 litre or 5 litre gasoline, whether the people who are still burning in the house should pay in Nakfas or in dollars to scape the danger. Ten years ago Wikileaks stated that Gen. Flipos charges 5,000 USD from each person to be transported from Asmara to khartoum by his Toyota Land-cruiser. Remember Wiki leaks is a leaked info and not a proceed information and that these figures are from a report released 10 years ago. HRW, AI, UN etc has testimonies from the victims. What is happening is not secret, it is the daily life of the people. But the MAIN point is not whether we are paying 1000, 5000 or even making it without paying a penny. The three main points should be the following 1) people are forced to live their country because there is no basic human rights, justice, freedom 2) as part of the travesties mentioned in #1 they can not leave their country legally hence, they are forced to leave their country illegally paying hefty of money 3) what should we do to save the country and people. If a thief broke a house and took 3000 USD instead of the 8000 USD that he was hoping for to find in the house does not make him innocent in the court. If he tries to argue on the court on the basis of the figures that makes him/her ዓይነ ኣውጣ ሌባ! May this year be the end of human smuggling and the plight of Eritreans. Can a new year really be happy with all this injustice going on our country and under our watch? It is a dark reality that should be painfully obvious to any person with mind to seriously contemplate. 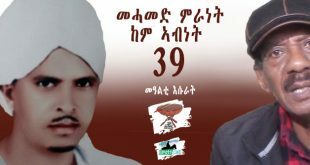 The New Year won’t be a happy one so long as Eritrean are oppressed and subjected and their rights are denied. and regime ruin thousands of human lives continuous. The year 2018, like many previous years won’t be a happy one so long as many of us choose to turn a blind eye to the atrocities committed by PFDJ against fellow citizens, in destroying precious human lives in Eritrea. Eritrean know better. They will just be very patient, hoping it will go, but continuation of oppression, humiliation and suffering will not stop, if we continue and repeat and operating with the same mindsets nothing will change. Like many years after Eritrean independence we had encountered in 2016 and 2017, we ended up with the same situation we are in today and wish full thinking and hallow or typical statement, let’s hope 2018 will be a better year. I don’t know why this statement sounds to me as one full of meaningless, defeat and hopelessness. It is a statement that many Eritrean repeat one year after another, even though they know deep inside them, that it is a fake form of optimism we console ourselves with, but we still hope. so, will be different year, It is a way to seek solace about the fact that most of us are held hostages in the hands of our oppressive IA regime that is suffocating us. 2018 won’t be new or happy while we are being ruled by the same doctorial regime that is seeking to destroy everything meaningful and beautiful on our nation. hoping for a better new year. 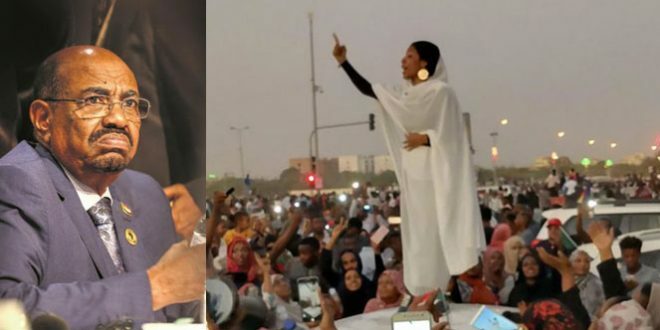 So, let’s declare it loud and clear: some of us Eritrean are not truly happy! Till IA regime is gone. External factors are not new, but what has changed is that PFDJ turned against its own people, the people who challenged foreign interference and won during Armed struggle. With that, are you making an excuse for PFDJ for being selfish, or for the helpless Eritreans who are languishing in countless prisons and living in refugee camps? 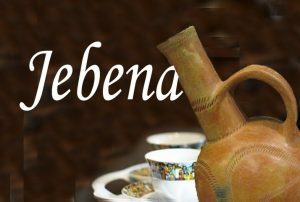 Why you didn’t post it in Jebena page? Just only, for the sake of understanding..
My bad! it just didn’t pop up, certainly I need to visit jebenna more often. Will do in the future, sir. Take it easy, just to remind you– only.. But don’t forget to post in the future.. If you see the whole dynamics of Eritran political economy, societical attitude, and political conturelines inside and outside–you would see quite a big variation from the text book examples what we were taught and red in the books (be it east or west block of the developed nations). At a regional level, for Eritrea, the major Economic Powers (with a considerable social impact) are the GCC countries and Egypt–quite a number of compatriots with a substantial remittance stream are located there. Egypt herself is structurally heavily dependant on 1) tourism (very circumstantial and at times unstable income), and 2) remittance from (around seven million expatriates) GCC. Note: Our Southern Boarder is still by all accounts war zone–hence zero economic activity and social dynamics. The foundation of citizens daily life in the GCC countries is the concept of Entitlement–since each household’s income and fiscal-structure is guided by government handout. 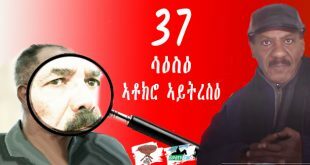 Now if you see what is happening in Asmara, the current government is doing what it is doing because it feels entitled to it; more and more citizens wish and want an economic activity space (shorter military service time, appreciative wage compensation, private business friendly climate, etc). I) the government cannot allow them, because this would virtually destroy the PFDJ as we know it today. Ii) the opposition can not offer any thing alternative as of now, or in the new future I am afraid, because their whole mind setup is inherently more of entitlement based; apparently this is the base-line thinking everywhere. Conclusion: unless there is some global or regional disorder (with a direct impact on us) happens, there will be no major change in Eritrea for the coming one or two economic GDP doubling cycles. Here we go again Hope leaping to the defence of IA. Your question and comments reminded me the following story. Once upon a time there was a boy who murdered his parents. He was taken to court and before sentencing him the Judge asked if he had a metigeting statement. The boy said “YOUR HONOUR I AM AN ORPHAN”. Eritrea is in this situation because of IA, PEROID! The solution is to remove him one way or another. Wishing a happy New Year to every one. Thank you for the constructive feedback. With all due respect I observed in your post one major tendency : post truth world approach. You stated the parts that you did not like as exaggerated and super exaggerated without giving the reasoning and providing the ‘not exaggerated’ facts. Just to repeat the facts: a) the government of Eritrea printed 20 billion Nakfa b) 40% of the Nakfa was reported unaccounted by November 2015 c) the human trafficking and Rashaida, the Ethiopian sabotage, mainly the failed Eritrean government fiscal and financial policy, among other factors, has great impact, in the utterly failed current situation. Every month about 5000 people are smuggled out from Eritrea. To be very correct let’s take Mr Yemane G. Head of Political Affairs admission to the BBC i.e. 3500. it is said that each person pays 5-8,000 USD. Again to have a modest estimation let’s put it 5,000. Now if we do together the math there is a transaction of 14,700,000.00 USD. You tend to blame the Colonels by trying to assume that they acted in an isolated environment, No!dear Hope. I can assure you that they were tasked by the government, I can give you the names and why they are not arrested. Ethiopian involvement is neither a secret nor unnatural. Economic war is the continuation of the political struggle. 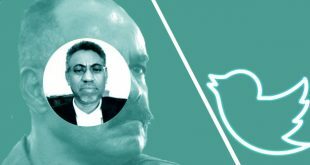 if you have time, please read the impact of Pakistan’s sabotage on the india’s shock current move. Last but not least, can we please talk about ideas without calling names to the owners of the idea. Why is someone who gives his opinion labelled a hypocrite or treason. Cant we defeat ideas by the power of logic and reasoning? Can’t we think that we can have a person who loves his country can also criticise his government? Can we think that people are entitled to criticise the governments policy? I think your reply meant to Hope. “Can we please talk about ideas without calling name to the owners of the idea” was a plea in these forum for years. Those who do not heed the plea are destructors of the educational conversation that is going on. No matter what they will continue to do so, unless a new rule pertinent to it is enforced by the team. Thank you for the reminder. Just in order for anyone to learn from your numbers. When do you think this 5000 people per month started ? And how can a central bank with full of secrecy print 20 billion and yet could not count it , how do come up with the number 20billion ? That 8000 Usd , who is paying this to who ? 8000x5000x12 this is almost 1/2 billion dollars per year. If this number has to go for 10 years , we are talking at an average the whole Eritrean economy. Now I am not saying there is no cheating or border crossing or any of it but the numbers you continue to post seems like a hard copy from the dark . Happy new year and seasons greeting. Re: When do you think this 5000 people per month started? People are fleeing the country, is it important to draw the line in the sand and talk about when they started to flee instead of talking WHY they started to flee and most importantly WHAT should be done to stop. Re: 20 billion and yet could not count it. Misunderstanding in here, 40% of the notes were accounted after 10 years, meaning it went out of the control of the National bank, for so many reasons. Re: 8000 Usd , who is paying this to who. The families of the people who are trying to smuggle out their youth from Eritrea to the network. The receiving ends include office of the PFDJ, Bahti Meskerem, Savana Hotel, Median Hotel, Dubai etc. Now tell me it was difficult to control and follow the smugglers who ask to be paid in Eritrea, for the government who wires every telephone conversation in Eritrea. Re 8000x5000x12 etc. I am not interested on the effect and the numbers I am interested on the lifes of our youth. Remember Lampedusa and the 340 Eritreans who perished the (RIP). fFor some people they are number for me they are the entire future of the country. I am not ready to make the maths with the life of people. you are putting words in my click(mouth). I did not change the numbers. Eritreans who are paying the money know the price. And we the የድል ኣጥብያ ኣርበኖች know how to argue on the numbers. Ask any one how much are been charged by the Tecle Manjus network for a single person from Asmara to khartoum. By the way you do not need to talk with ‘ደለይቲ ፍትሒ’ just ask those who dance in the festivals and say in the seminars ተጻብኦታት ንምምካት መንእሰያት ሃገራዊ ኣገልግሎት ኪፍጽሙ ይግባእ ኣብ ኣይሰላም ኣይኩናት ስለዘሎና ሰብ ቀበጥበጥ ክብል የብሉን because they are the first one who are getting out their own. In todays Eritrea the norm has become ካብ ክረምቲ ዝጸዓረ ኣብ ቀውዒ ሰፍኢ ዘቐበለ። Sad but true. I would prefer your argument without numbers. Every thing you wanted to say can be said with out creating numbers because numbers are really not that nice to mess with and you can only play them on average or probably… like that scenario. What I am 100% sure is sir 5000 people per month can’t pay 8000USD each to reach to any place from any place(from Eritrea to any borders). These who have it can pay 10,000 because money is not an issue but these who can not pay and who gave their ample time in military can’t afford to borrow any cent to cross to any border . Still you can’t answer my questions because you don’t have any answers and that is understandable . I don’t want to any other words and especially I wouldn’t take your amharic word. I did not your answer not because I do not have un answer but because I did not want to fail in to your amateurish trap. What I observed for long time in this forum avoiding the national issue at stake by diverting the course of the trail and derailing the sequence of the argument. Why is it important for you what percentage of the people are paying 8000 more than why are people forced to leave their own country. Have you read the story of Abed and Yemane (posted in BBC last week), two war veteran disabled tegadeltis who crossed the Sahara. Can not you ask the simple question ነቶም ህይወቶም ዝኸፈሉላ ስንኩላን ዘይኮነት ኤርትራ ናይ መን ኤርትራ ኢያ? For those people who live in a state of denial the best solution to convince them is to quote the words of those who control their minds, here I will quote YG who stated in his interview with Russia Today that 3-4000 Eritreans flee the country monthly. Remember just days before this interview the denialists were saying no Eritrean is fleeing the country if 3000 people were fleeing by now Eritrea would have been an empty country. Still you are going every where instead of holding your ground. You run to accusing and so much of the same . I am telling you that you can say whatever on your head but once you give accounting you are expected to details and you failed . Welcome to the death of Reason! People are determined to hate someone else with passion instead of calling out the man who is screwing them over and over again till he is numb. 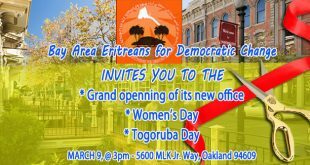 We are calling out all the bloody enemies of Eritrea with out discrimination. Would u be so kind as to why u r so kind to the TPLF ,the Numero UNO enemy of Eritrea and Eritreans,who,in your very own words,has been trying to TRASH and NULLIFY the Eritrean ID for ever? Disclose your reliable source and until then,ur arguments and statistics are ” Too good to be true”! It should have been suffice to grossly state the corruption by the PFDJ and its cronies and Agents,which we have known since Zemene Ennini. Yes,it is indeed beyond HYPOCRISY to ignore the GROSS and REAL dangers posed by our bloody enemies and to conveniently and exclusively and worse,deliberately point finger at the PFDJ only. Can you give an example of what you consider as a reliable source? If an internal source leaks information and becomes exposed, will the source remain alive to see the light of day? Do you think, on the balance of probabilities, what Kbrom wrote is credible? Thanks for the ” Story”, but NO thanks ,rather tell that to your little kids. happy new year to all of you Eritreans and non Eritreans in this forum…may the year 2018 be a better year than 2017 for Eritrea… and the neighbors … i am optimistic and it looks so…. Tugushtetey, dugushtetey, gushtetey seleste saE illu mengsti eritra. Ewe, itti tSota abti bota gebeTTa mukuanu kulu kemzignzebo Tugushtetey is part and parcel of the rules of the game. Has any one seen a Tens Millions/Billions Dollar Bill, or Euro, Yen or Dinar? 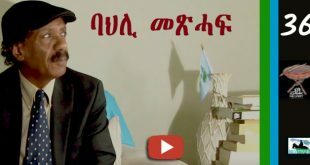 Tugushtetey zwtrti or popular gbrnn qaln abb 2018 AAmette Mhret kemtikhewn ane ygmitt. Based on AmEritrean GitSAtSE A40 A40 forcasting, I am predicting the “‘gushtetey” will be word of the year in 2018. Looking forward to the Admiral’s return. “ግቡእ መአረምታ” refers to the steps they took, in their views, to punish (close) the businesses they didn’t use checks as transaction mechanism. Can some one say something on my view if I am wrong. The objective of this editorial is as you put it. But by trying to weasel-out of its (government’s) responsibility and blaming and punishing the businesses while saying their number is negligible (compared to the 58000 businesses in the country), it is involuntarily admitting to its blunder. in the second column of the editorial it says “ይኹን’ምበር ምምዕባል ኣሰራርሓ ባንክታት፡ ዘመናዊ ቴክኖሎጂ፡ ሰብኣዊ ዓቕሚን ተሞኩሮን ዝሓትት መስርሕ ብምዃኑ፡ ኣብቲ ዝድለ ደረጃ በጺሑ ክበሃል ኣይከኣልን። ይስርሓሉ ግን ኣሎ። While these listed insufficiencies the editorial enumerated and the government’s own incompetency are the principal causes of the blunder, it has found a scapegoat in the name of 0.8% of businesses. Therefore, I think the title and content of Gedab News reflects the understanding of that editorial. Thank you for the explanation. Just to admit the closing of the 450 business in itself after awate.com exposed to their actions, is a new turn in their behavior, as oppose to the persistent denial to any of their actions for decades. Again thank you Hailat. 2) the GOE did not have the hard currency to pay the costs and opted to print them in Sudan. ¬	By 2011, 60% of the 100 notes were reported missing from the market, it is also said that Ethiopia forged millions of the 100 note. ¬	The Rashaida were caught by surprise and did not know what to do with the 4 billion they had with them. They claim that this is a joint venture that they had with the GOE and they should be consulted about the note change. 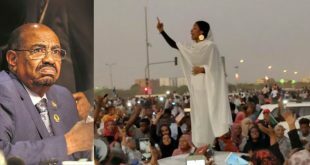 ¬	The governor of Kassala visited Asmara in December 2015 to lobby on behalf of the Rashaida, however the president refused to see him. The Rashaida threatened that they will expose all they know to the UN and hand the documents to the international community; later PIA allowed that they get 2 billion from the new notes for the 4 billion they had. ¬	The other group that were caught by the note change was the top echelons in the army, who have been involved in the human trafficking. They were doing the business on behalf of the government, their crime was that they robbed the thief. ¬	Their issue was also settled, most of them given 25% of what they had with them in the new note, but on one condition that it remains in the bank. The same to their money they were also frozen from their position. ¬	in 2016 people, especially business started to hoard their money and banks felt that money is going out but not coming back. ¬	In 2017 most of the 100 notes started to disappear from the markets, and the banks were not able to control the circulation and supply, the main victim of the shortage is the army, they did not get their October and November salary. ¬	It is believed that the government will take more restrictive actions including micro managing each ones’ life. ¬	Nowadays the task related to business and Nakfa is assigned to the national security and PFDJ and not the ministry of Finance. il problema diventa sempre più grande………. You are a well informed brother. I am a student in economics and business in awate university. I am only a listener on those area of subjects. Thank you for the feedback. I am just sharing some of the information that came to my attention, Amanuel. I do not have any knowledge in the subject matter, be it in economics or business. If I am kibrom Dafla? no I am not, as you said, I follow his interviews; he is expert in the subject matter with first hand information. Hi all, here you have it the future of religion. hahahhahah lol. what is wrong with this world and the name of religion never stops and anything goes. Come on! This has existed since humanity existed. It is not a religion and not the future of religion. It is a scam conducted by a scammer on very innocent people. Not different than the ጠቢብ chaser/hunter in our country. You said that religion “has existed since humanity existed”, therefore it must be true. This is shoddy reasoning, don’t you think? I don’t think you read my comment attentively. What that scammer did is a scam. And scam exists since humanity exists. So, alternatively, religion is not a scam but truth? How can a scam cure disease that comes from living things? As Haile. S said this is a scam that must be destroyed with its owner religion.Religious people has been saying many things and none of their hearsay come to reality. The pastor must go to jail for life. It is only the original scammer that has exclusive patent/trade mark rights. Not the newcomers and improvisers. New or old they are all scammers, when you read all the books, they are all scammers. If you see the people watching the scammers on every praying house , you see all these people are going to be robbed with a very stone aged words of scammers. I don’t see big difference between this man’s scum and IA playing people like you. Very happy New Year to every body; and I join those who had alreadu welcomed Kbrom. Kbrom, if you are the Kbrom I know since decades back (student days), you are a bit late to join this forum with you extremely valuable in put. Please keep it up. The information your two postings contain is very much enlightening to the justice seekers and devastating exposure of the regime. This information can only be in possession of some one who knows and followed the economic affairs of the regime and its ruinous policies. This is the reason I surmised it could be the Kbrom I know though credit goes to either of them – to Kbrom I know or the one I do not know. The information revealed should have been enough to make the so called loyalists stop and take deep breath and soberly ponder on their position. At the end of the day, the regime is also ruining them along with the rest of the population. It is a telling trait of the Malia families to victimize their accomplices and destroy them when realize they end up in a cul-de-sac without no escape route. In regard, the information Kbrom’s post revealed show clear examples: deals with Rashaida predators and the heartless generals who trade in human trafficking. One can understand how vulnerable and pusillanimous the mafia boss is. It is all about the ‘Isaias-Nakfa’ pride. In 1997 he declared Nakfa-Birr parity, one-to-one. At that time, he had the backing of the late economics professor (ምዉት ኣይከሰስ!). So, you had Badme. The war is raging on the domestic front until the prophet’s word is delivered: one dollar to 15 Nakfa. It is time to name-and-shame the architects of ሃገራዊ ጥኣፍት. History will definitely remember them for the ruins they are living behind. 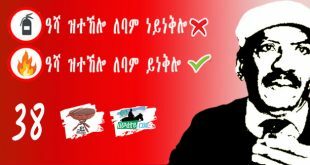 http://assenna.com/eritrean-economic-crisis-intellectual-dishonesty-and-opportunism-a-response-to-dr-abraham-kidane/. The whole change of currency wasn’t to fight illegal activities like cross border human trafficking. In fact the regime profits from such multi million business which are part of. Besides that, the facts on the ground shows that the change in currency hasn’t stopped the illegal human trafficking or the fleeing of Eritrean youth at even higher payments. The aim of currency change is simply the last part of injustice they could ever come up with, stealing money of citizens. The consequence to the population, now PFDJ regime has the remote control to what menu of lunch you should eat. The control your business, your pockets. If you want to withdraw money more than the limited one, you have to go through interrogation type interviews with the security agents, if your planned wedding budget is NKF150K, they will outrage and tell gefaHfAH aytibel. They will ask for receipts of wedding expenditure. This makes you wonder if the regime has printed enough cash at first to start with, but after the passage of time. It got more clearer that it was all about looting and robing the country and the people. It is simply like back on the day- the usual shifta . I think some body wants to make Mengistu Hailemariam type of exit settlement.